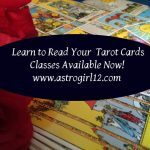 Astrologer (NCGR), Tarot, Psychic Medium, Life Transition Coach, Reiki Master, Psychic Entertainer #reiki attunements #tarot #medium #astrologer #psychic Nashville's Astrologer, Psychic Medium Nashville Visit www.astrogirl12.com for more information. It’s time to open the Circle again! I know you’re all excited to start working again. The 2018 workshops will be open to everyone, at any time so if you hesitated to come this last round because you couldn’t make all of them, no worries-join us any time you can! We meet one Thursday a month. Those of you who have been regulars at the circle, please welcome our new members who have joined the Meetup Group and give them some feedback about the Circle so they know how fun it is! You guys make it great! The Mediumship and Intuitive Development Circle is open to all who are interested in developing a stronger relationship to spirit. In this meetup we will delve into many different aspects of intuitive devlopment- mediumship, channeling, trance, psychometry, automatic writing, and working closely with your clairs. It is open to all levels and a professional medium will be on hand to lead the group. We are making a comittment to encourage intiutive growth, create a safe, comfortable environment for new mediums and intuitives to practice and for seasoned professionals to strengthen their abilities. You will practice spirit communication from the first gathering. Unity of Music CityAstrologer (NCGR), Tarot, Psychic Medium, Life Transition Coach, Reiki Master, Psychic Entertainer #reiki attunements #tarot #medium #astrologer #psychic Nashville's Astrologer, Psychic Medium Nashville Visit www.astrogirl12.com for more information. 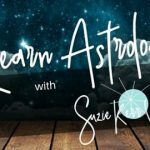 Saturn In Capricorn, Your Make It Work Moment!